The first thing we recommend is that you purchase a pad to put underneath your rug. This will keep your rug from sliding around, which can cause premature wear, and will help retain its original appearance longer. Vacuuming is the best way to remove every-day dirt and dust. Vacuum once a week, or less if your rug is in a low foot traffic area. Special care should be taken in the fringe area as vacuuming with a beater bar can catch and pull the fringe. Use the vacuum on the lowest setting for suction and beater bar action. In the first year of use, you might notice some excess fuzz that accumulates on the rug surface. This fuzzing is perfectly normal and in no way shortens the life of the rug. It is merely the result of loose fibers. Lastly, remember to rotate your rug periodically. Over the years, set foot traffic or sunlight patterns can cause fading or uneven wear. Professional Cleaning. We suggest sending your rug to a reputable professional who is accustomed to cleaning quality rugs when your rug appears dirty or has set-in stains. In-home cleaning is not recommended, though we do suggest taking immediate action in the case of spills to lessen stains. Immediate Action on Spills. Natural wool fiber sheds liquid spills, so quick action offers the chance of preventing a stain. Blot spills (do not rub) with a damp cloth and mild cleaning solution. This action will help prevent stains from setting in. The type of fiber used in a rug plays a key role in how it feels and how well it performs. Basically, there are two fiber types: natural and man-made. The predominant natural rug fiber is wool. Other natural materials such as silk, linen, sisal, jute and cotton are sometimes blended with wool. Due to modern technology, many rugs on today's market are made from synthetic fibers such as nylon, acrylic, polypropylene, viscose and polyester. Wool is the most beautiful, luxurious, and durable of all the rug fibers. It is a natural fiber that is highly regarded for its strength, durability, crush resistance, cleanability, and comfort. Easy to Clean. Natural resilience to dirt and soiling make wools exceptionally easy to maintain. Wool is a non-allergenic fiber; it does not promote the growth of bacteria or dust mites, or give off harmful emissions. Wools are safe for your family. Strong and Durable. 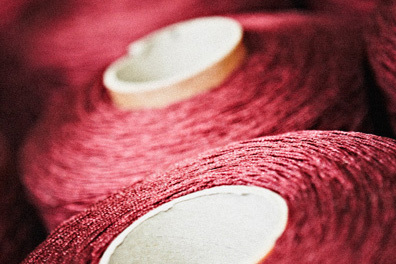 Woven technology ensures wools are incredibly durable and strong, creating products that last. Crush Resistant. Natural crimp gives wools built-in resilience to crushing. Furniture marks disappear when the fiber is gently moistened and allowed to recover naturally. Inherently Fire Safe. Naturally flame retardant, wools are difficult to ignite, do not melt, and are self-extinguishable. Resistant to Static. Wools do not suffer from static electricity build-up. Comfortable. Inherent substance and volume gives wools superior sound and heat insulating properties. Environmentally Friendly. Beauty and sustainability come naturally with the original eco-friendly fiber. Visit Wools of New Zealand to learn more about this superior fiber. These man-made fibers offer a combination of richness and easy-care at an affordable price. Advancements in synthetic yarn technology have continued to develop amazing color clarity, colorfastness while maintaining crush resistance and stain protection. Hooked in India of 100% wool, the Charmed By You Collection is designed to make a big impact in small spaces. Available in 3 foot rounds and accentuated by playful tassels, each piece offers an instant style upgrade for entryways, kitchens, laundry rooms, and bathrooms alike. Please contact us via email at customercare@shopworldofrugs.com to request a Return Authorization Number. We only replace items if they are defective or damaged. If you need to exchange it for the same item, send us an email at customercare@shopworldofrugs.com.